with fall-leaves print. Hey, let's make a skirt. In my defence, I have taken the kids' measurements. I also casually threw a few bolts of corduroy in my cart. some pockets and bias-taped all the raw edges. I sometimes play while sewing. 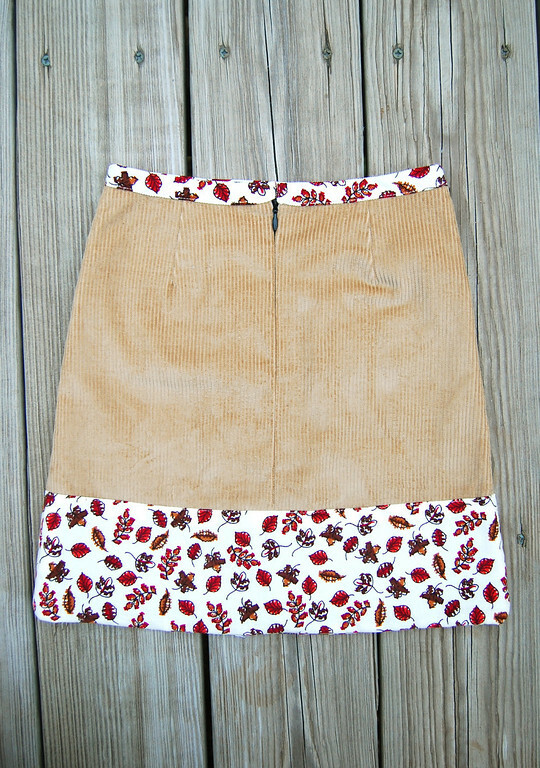 outside of the skirt bottom. Cut a band of fabric (my leaf corduroy one was 4.5" wide including 1/4" seam allowance on the top and bottom) in the same shape as the bottom-most 4" of the skirt. This is not a rectangle. It is easiest if you use the bottom-most 4" of your skirt pattern to cut this band out and add the seam allowance on all four sides. Cut one for the front and one for the back. Sew up the side seams to join the two pieces into a continuous loop. Line up the bottom edge of this loop and the bottom edge of the skirt so that the RIGHT side of the band is facing the WRONG side of the skirt i.e. the band is inside the skirt. Sew 1/4" seam allowance all along the bottom edge, and iron the seam open. Fold the band out over the right side of the skirt and iron the fold. 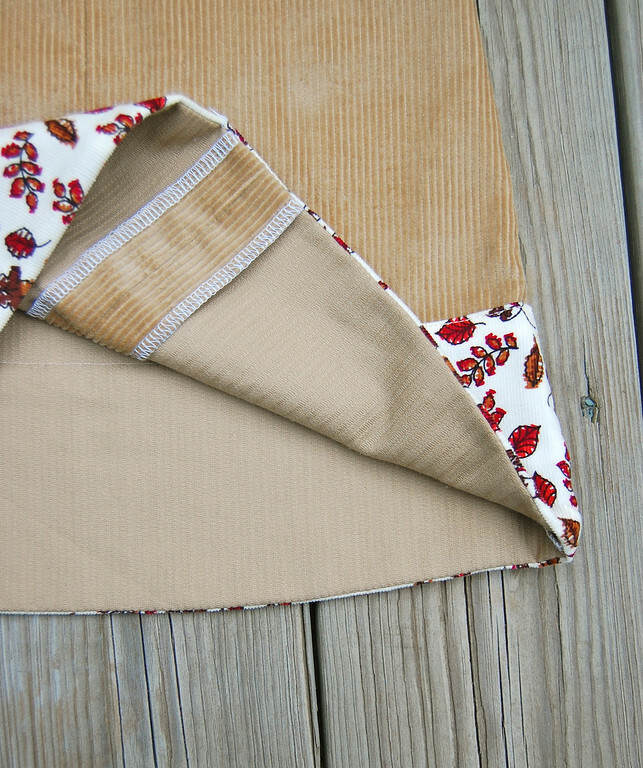 Fold in the 1/4" seam allowance at the top of the band, baste or pin. Top-stitch all along the top of the band. (which she has fondly named "Sugar"). 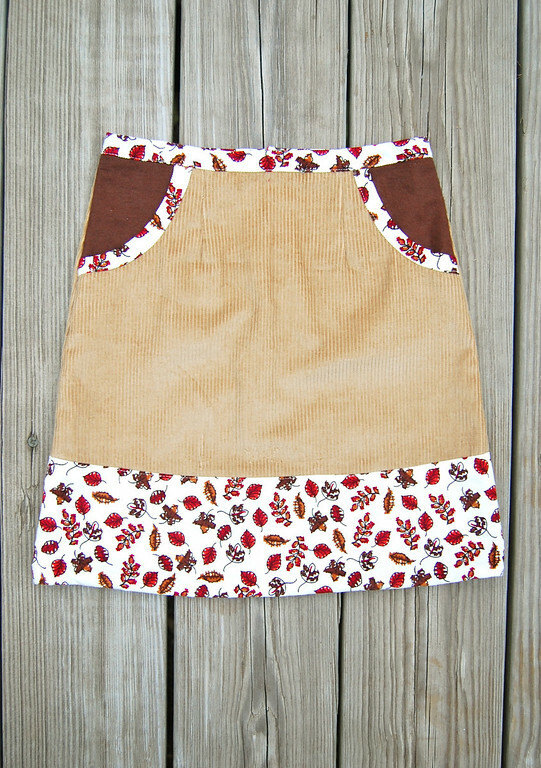 Gorgeou fall skirt! I wish I procrastinated this way. oops I meant gorgeous. Must improve one-handed typing skills. Love the leaf print corduroy! And the skirt! How exactly is the hem done? Is it like giant bias tape? Laura, thanks for the question. I started writing out a comment here then decided to edit it into the main post itself. No, it is not like a giant bias tape. It is more like a facing. Hopefully the post explanation makes sense! MaryAnne: I used to type one-handed too, when feeding the babe while reading blogs. 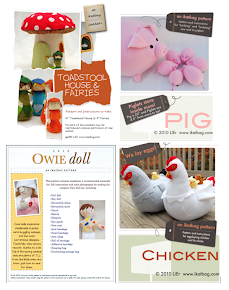 I still do my blog reading mostly when feeding the babe (when else do we sit down?) but I've given up typing at all. This has meant the end of commenting on all the blogs I love. Shame. Also am liking the design very much. Lovely corduroy! Thanks for the post edit - it completely makes sense! I love this so much!! 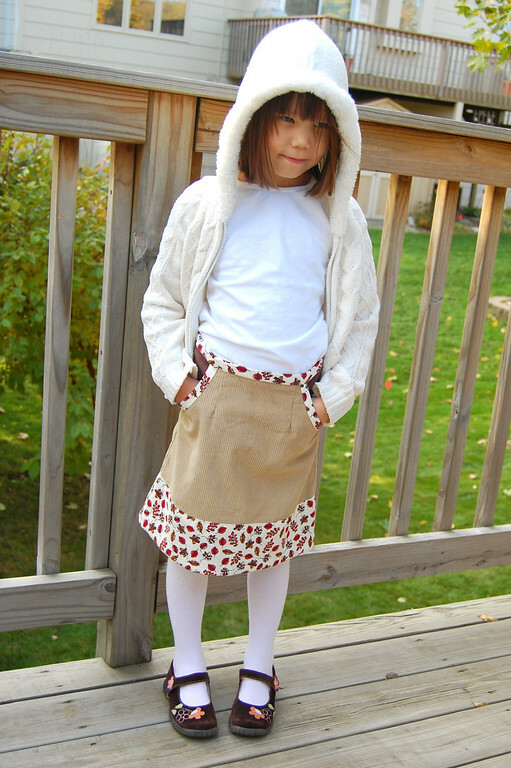 The skirt is adorable - scooped out pockets, contrast binding, corduroy, YUM! And the hem facing is so perfect! 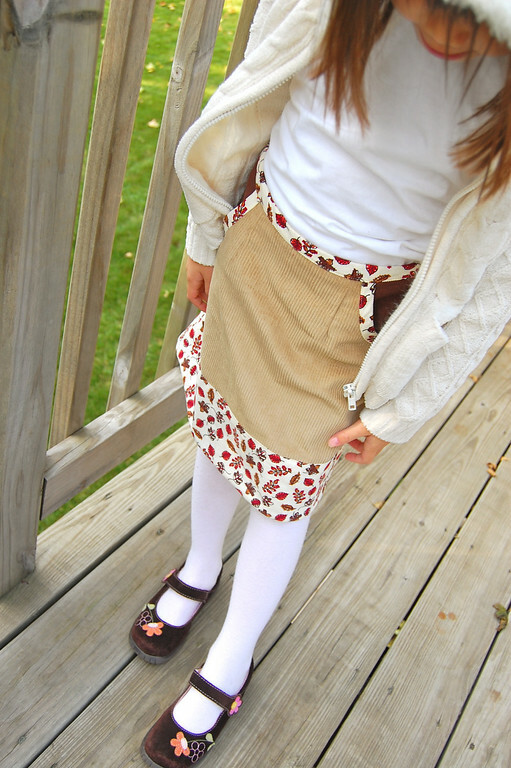 Love the skirt... the pockets & trim are such a perfect detail. 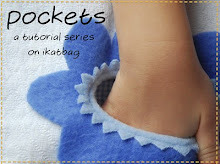 Learning how to do pockets is next on my list. You are a woman after my own heart. 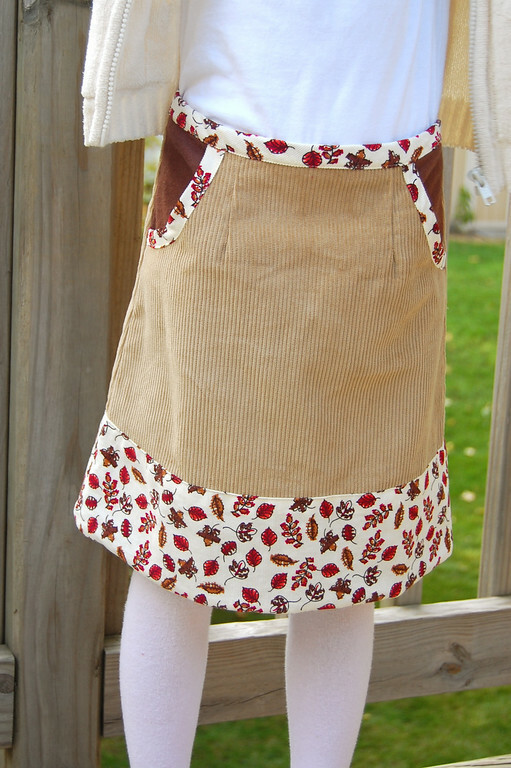 I need to be making a "Nurse Nancy" costume (Thanks for the tutorial on making the hat & apron by the way) for my 3 yr old. Nurse Nancy is her favorite book at the moment. ....So I made two applique pumpkin shirts for my kids to wear . Which turned out so cute, but were really not top priority, seeing as how I've never made a dress as difficult as this Nancy dress is going to be.